Eating food that is rich in antioxidant is not beneficial for your health but is great for your skin also. It is nothing less than an integral skincare regime for you. Free radical formed by oxidative damage speed up the aging process. Foods rich in antioxidant can help you fight the damage caused by pollution, stress or poor diet. Vitamin C, beta-carotene and other oxidants are helpful in fighting the presence of wrinkles and skin dryness. Antioxidant skin foods can be very easily incorporated in your and diet here is the way it can be done. Berries are highest in the content of antioxidants and they are delicious. Berry smoothies can easily fulfill your daily need of antioxidant. 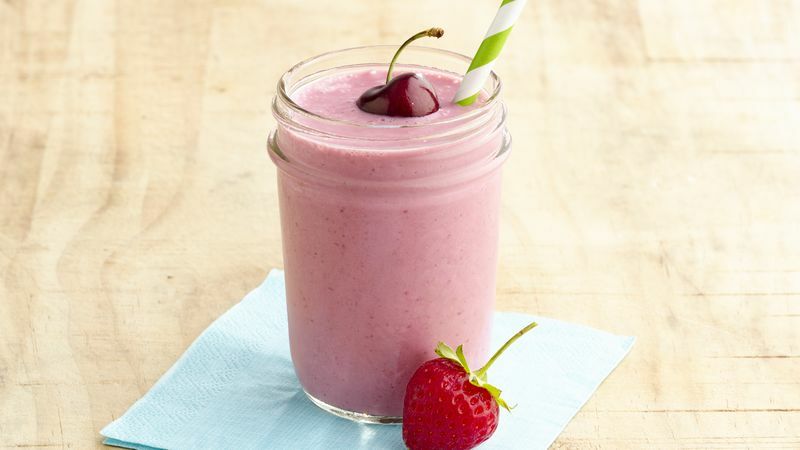 A frozen box of berries can be kept in the freezer and as required can be blended with some milk or yogurt with a choice of sweetener and some protein powder. The best antioxidants are acai, cranberries, blackberries, strawberries, and raspberries. Pomegranate has a high amount of antioxidant and anti-aging power. The seed-bearing fruit has Vitamin C and B5, potassium and antioxidant polyphenols. It has caffeine and should be avoided if you desire a caffeine free diet. It has high catechin polyphenols and is strong in antioxidants. A cup of green tea provides 10-40 mg of polyphenols and has greater levels of antioxidant than spinach, broccoli, carrot or strawberry. It can be consumed as iced green tea or a base for your smoothie. The old saying ’apple a day keeps the doctor away’ hold truth, and it is high in antioxidants and this fact is supported by various scientific research. It is rich in polyphenols that is fives time more in the skin than in the flesh. Buy organic apple and enjoy eating it without having to peel it. Now it is a delicious way of having your antioxidants. As per researches drinking red wine will not make you look younger and has other health effects but it is rich in antioxidants so if consumed in moderation it will give you boost to antioxidant in your diet. Dark chocolate will increase the antioxidant in your diet but the same fact does not hold good for white chocolate. It is rich in epicatechin a type antioxidant that is called flavonoid. Consuming dark chocolate will lead to a 20% increase in blood plasma levels of antioxidants than those who ate milk chocolate or had milk without chocolate. Yogurt is mixed with chia seeds and fruits with some berries are a power packed breakfast full of antioxidants. It can be even consumed as a dessert also. It is also high in riboflavin that is an important Vitamin B. It is a versatile cooking ingredient can be consumed raw or in the format of soup or sauce. It is rich in lycopene that is a strong antioxidant. Lycopene needs a fat to absorb it and thus tomatoes with olive oil make it a good combination. Consuming organic tomatoes or spray free tomatoes is recommended so as to extract its full benefits. Eating healthy food and having a balanced diet is crucial for your well being.